Dnes sa laserová tlač zaradila ako priemyselný štandard pre použitie v profesionálnych riešeniach na základe výslednej kvality tlače a nízkych prevádzkových nákladov. Taktiež dnes nahrádza staršiu riadkovú tlač modernejšou technológiou. Dôvody pre túto zmenu sú nasledovné: laserové tlačiarne dosahujú dnes vysoké rýchlosti pri dosiahnutí vyššej tlačovej kvality obrázkou, lôg, OCR znakov a čiarových kódov. While line printing often sets tight limits in design, PSi laser printers provide unlimited options: Practically every font is available and smaller font sizes are also printed with perfect legibility, making even customer mail shots an application option for fanfold laser printers. The straight paper path also allows for trouble-free label printing. Finally, barcodes and OCR scans can be printed in razor-sharp detail. Read errors are avoided and workflows are economized. The excellent quality of printed graphics – with or without IGP emulation – also enables printing of the entire form on blank paper using data – including logos, company typefaces, lines, highlighted fields and body text. As a result, printed forms can be spared and then printed just-in-time as needed. And even if pre-printed forms are used, a precise print positioning guarantees the perfect copy. The zero-tear-off function also ensures printing without losing forms and prevents wasting of expensive special papers or loss of sensitive data. 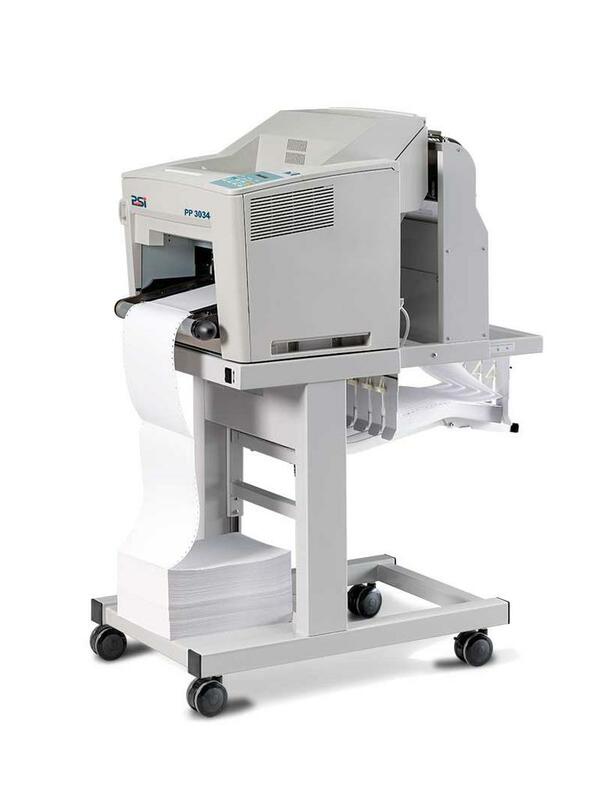 PSi laser printers achieve a significantly higher page output than comparable line printers. 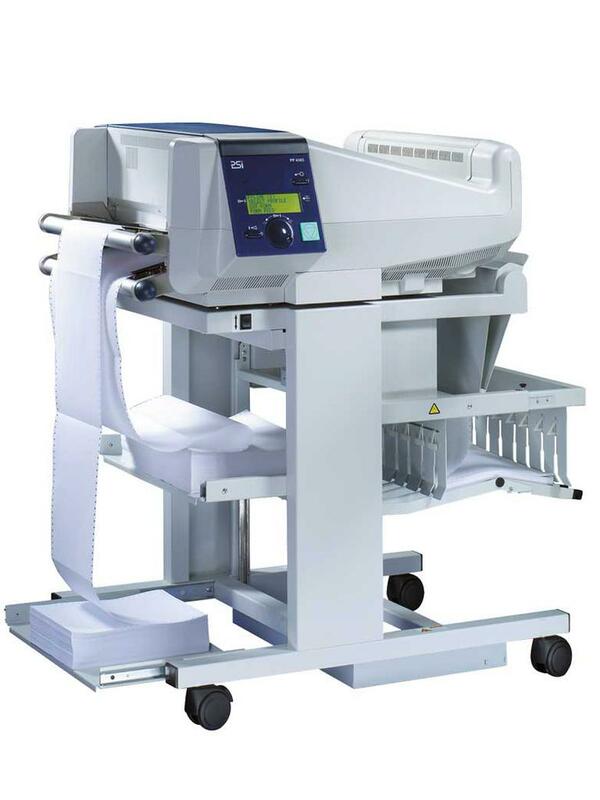 The fully automatic paper handling requires hardly any user intervention, which leads to significant time saving. The many design options considerably simplify and rationalize form management and help accelerate workflows. Thanks to their extremely low noise emission, PSi laser printers do not require a separate workroom. Their space requirements are also minimal due to their compact design. 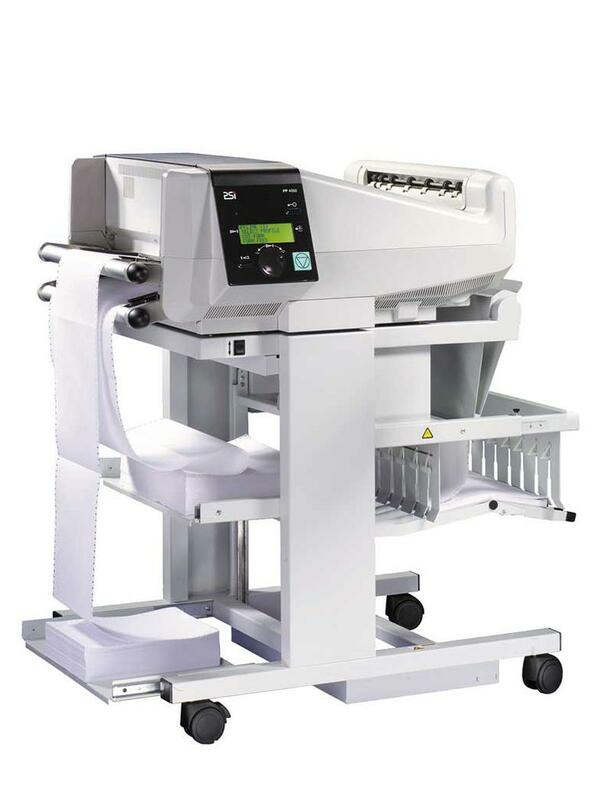 PSi laser printers are also mobile and can adjust easily to changing setup conditions.